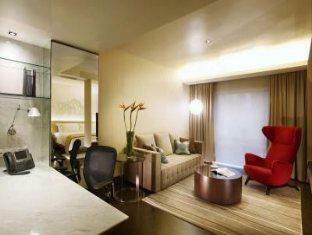 Naumi Hotel is perfectly located for both business and leisure guests in Singapore. The hotel offers a high standard of service and amenities to suit the individual needs of all travelers. To be found at the hotel are poolside bar, room service, facilities for disabled guests, newspapers, bar. Each guestroom is elegantly furnished and equipped with handy amenities. To enhance guests’ stay, the hotel offers recreational facilities such as outdoor pool, golf course (within 3 km), fitness center. Convenience and comfort makes Naumi Hotel the perfect choice for your stay in Singapore.